3″ Stone – Convex Wet Polishing Pads are designed to Polish Ogee and Concave edges on Stone Countertops. 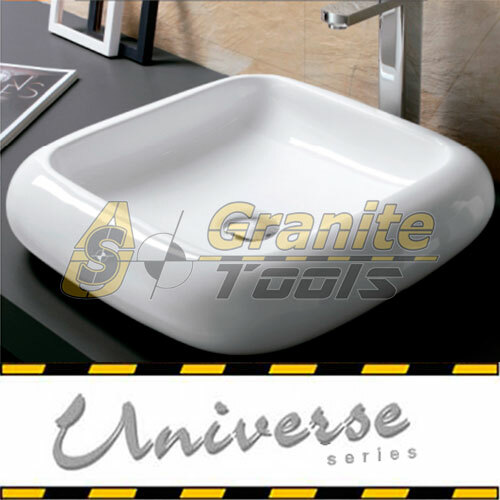 They are also great for bird-bathes, bowls, and any other curved edges in Concrete, Granite, Marble, or other Stones. Every Countertop fabricator should hace one of this sets. Instead of flat faced to be used with conventional back holders, the Convex Polishing Pads are designed to fit snugly onto a matching convex back holder. As a result, the diamond polishing pads can hold on to the convex back holder very tightly, preventing the Convex Polishing Pads be expelled because of the high speed. Available in all the Grit range (50, 100, 200, 400, 800, 1500, 3000 & White and Black Buff), with 2.7mm thickness. Wet use only. Stone Plus Continuos Rim Blades, a Premium Blade for Stone which provides extremely smooth Cut with no Chipping. With a high concentration of Diamons and "J" cooling slots, this Blade have a very long life.